More often than not it seems like decisions all melt together, making it hard to pinpoint any one decision that would have made a big difference. There are other times though, where the decision was a very distinct moment. In Iceland while viewing Skógafoss we debating if it was going to be worth going up the stairs to the top of the falls. We decided to go for it, because we figured that we might not want to miss out on the view from the top. The. Stairs. Were. 100%. Worth. It!!! The view from the top of Skógafoss gives you an idea of the massive amount of water hurling over the falls every second and then, from there it got even better! 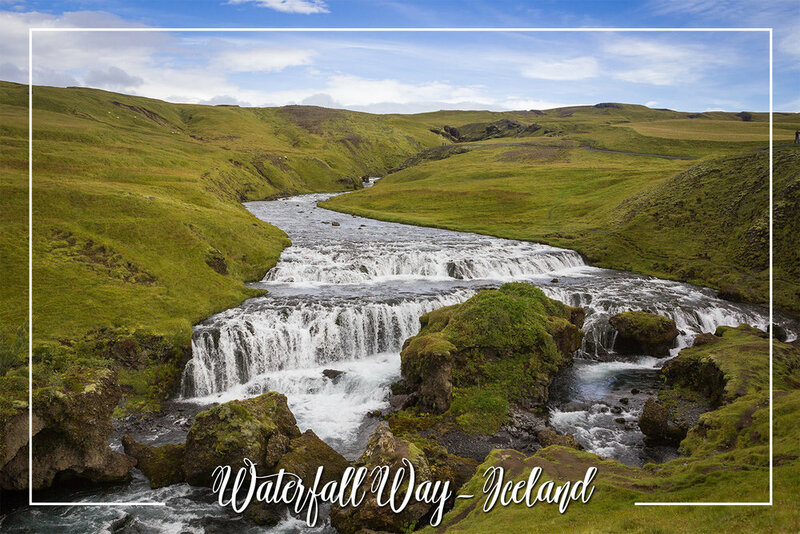 Come to find out Skógafoss is the beginning of a really cool hike, and the first part of the hike is referred to as "Waterfall Way", because the trail follows the Skóga river and you get to see all the small and medium sized falls above Skógafoss. The cherry on top was that the trail is through a sheep field, and we were able to get quite close to some of the incredibly fluffy Icelandic sheep! I see photos from that hike and can't believe that we would have missed out on one of my very favorite parts of visiting Iceland if we hadn't decided that the stairs were worth it.